Summer Hack 2018 took place on July 23rd–27th 2018 at CodeBase, 38 Castle Terrace, Edinburgh. Imagine someone who never really thinks about cyber security and isn’t aware of any threat online. How could you engage them? What would be the most fun, provocative or interesting way to do either of the following? Encourage them to find out for themselves. Make a Lego robot to guide passengers to different locations in a (mocked-up) airport, help them with their luggage, buy presents to take home, warn when their flight is boarding. Keep a record of who the passengers are and where they are going. Five teams created projects during the week — brief descriptions below. 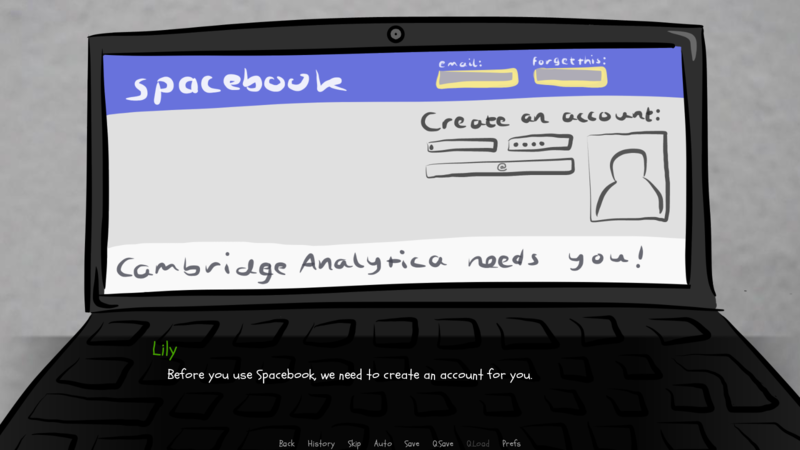 Earthbound: A Mario-type game that incentivizes users to enter private data in order to skip levels and finally warns them of the dangers of disclosing this data. SKYBorg: A Mindstorms robot to help elderly / limited-mobility passengers to reach different destinations in an airport. Glitch: A game that walks users through the process of registering for and using a social media platform in order to highlight the data privacy risks. Cyberstrike: A visual novel, including mini-games, designed to give information about cyber security to an alien from Planet Zorg. Lily shows the alien how to use Google maps and social media to find its friend. AirBuddy: A robot assistant that uses line-following and a text-based interface to guide people through an airport.